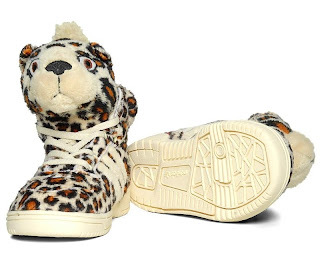 The latest Adidas Originals by Originals by Jeremy Scott shoe would definitely be classed as a statement piece, and now your little ones can get in on the fun. 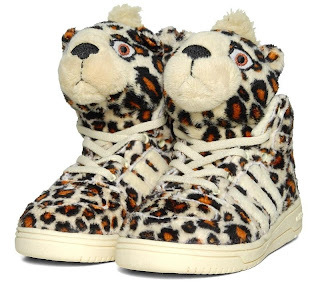 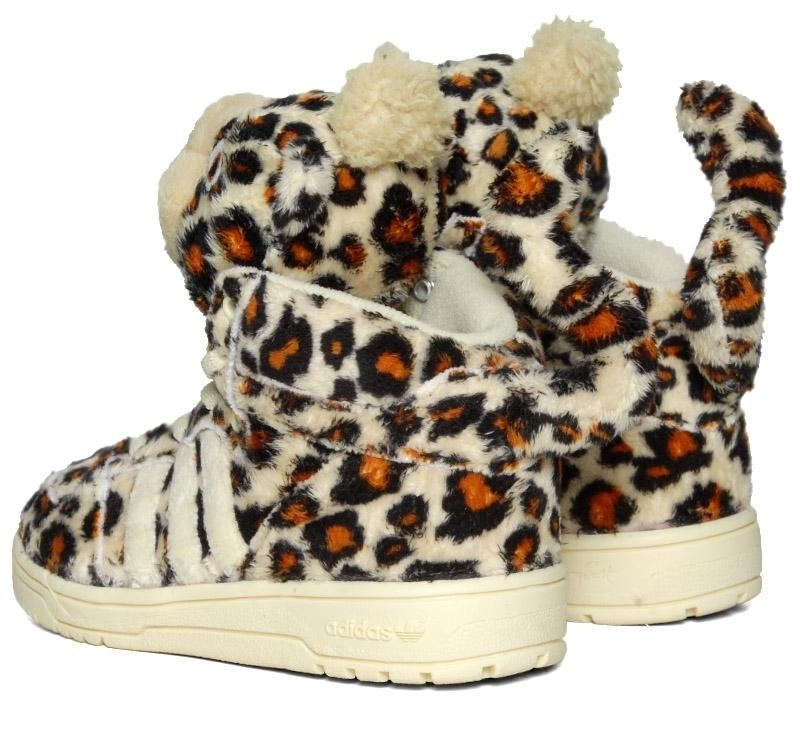 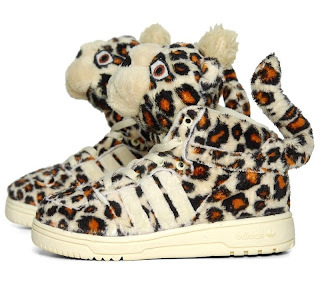 The mid-top sneaker is covered in soft leopard print plush faux-fur, and has been given an upgrade from the adults' version, featuring leopard's head at the tongue, and a padded tail at the rear. 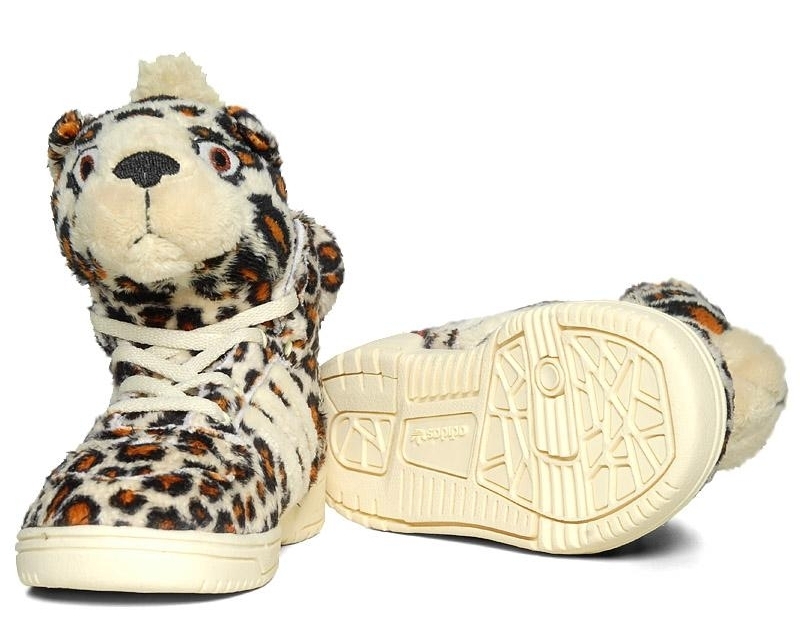 Extremely Limited Numbers.